No Conflicts: Runs alongside other security software. No need to uninstall existing protection just to give us a try. No More Bloat: Free up your devices and network. No bulky signature updates or definition files. Stop Reimaging: Journaling rollback and remediation restores files to their last good state, so you don't have to reimage. Deploys in Seconds: Endpoint Protection deploys and is fully operational in less time than it takes to refill your coffee. Online Portals: Manage endpoints anywhere, anytime, with an online manager console. Small Client: Utilizes a 750 KB client which installs, scans, and protects in seconds. 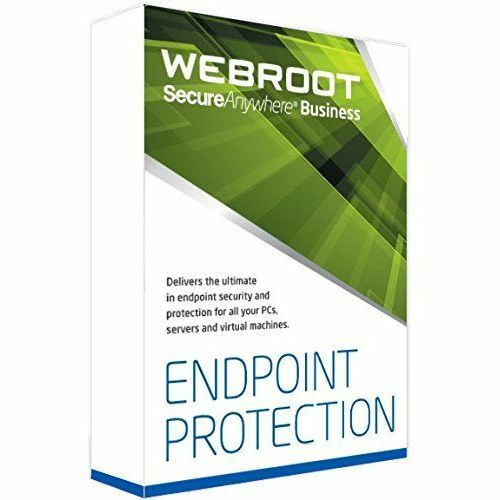 Always Up-to-Date: Threat data is delivered to Webroot-protected devices from the cloud in real time, all over the globe. Amazon Affiliate: Sohosoftware.com is a participant in the Amazon Services LLC Associates Program, an affiliate advertising program designed to provide a means for sites to earn advertising fees by advertising and linking to Amazon properties including, but not limited to, amazon.com, endless.com, myhabit.com, smallparts.com, or amazonwireless.com.